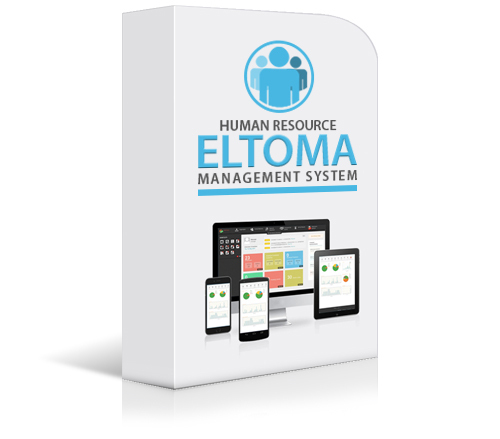 The HRMS is an easy to use, Human Resource Management System (abbreviated: HRMS) that can be scaled and adapted to your individual organisational processes. It is useful for any size businesses, start-ups to multi-national firms for the management of payslips, time sheets, employee annual leave, analysing data, performance appraisals, scheduling interviews and countless other daily tasks. Design & manage a range of adaptable & flexible solutions that can be created based on your existing HR department and operational requirements. The performance appraisal section aids with assessing your employee’s performance over a particular timeframe’ enabling you to design & manage your appraisal procedure for each department. There are a number of efficient self-service options available that allow your employees to log and access data regarding their annual leave and days of absence. 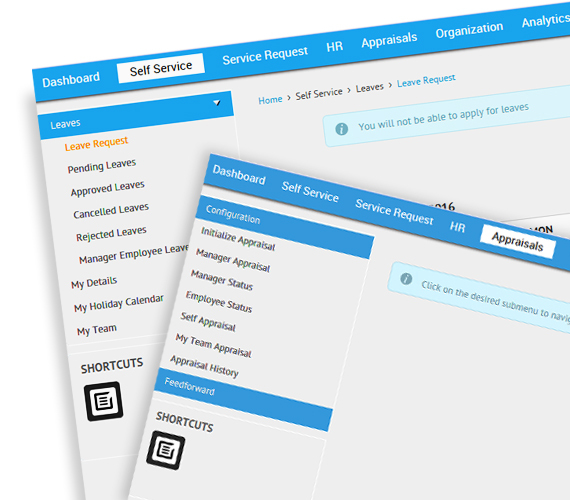 Saving your HR department of having to complete repetitive time-consuming employee admin. The data analytics section can give you a comprehensive analysis indicative of an extensive range of features regarding fundamental business operations; enabling you to outline both short & long term goals for your company and assess whether the targets are being met over a specific period of time. Conduct comprehensive employee screening and complete background checks of any potential candidates for your company using the effective screening feature. 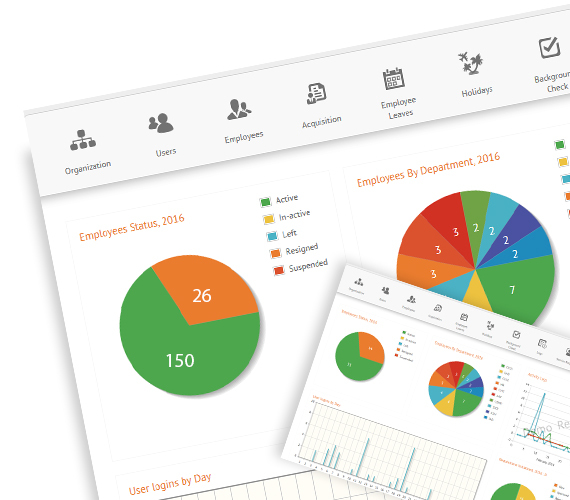 Control & define your employees annual leave days for a particular team or your entire workforce by setting parameters that can automatically control the number of working days, weekends, public holidays and hours available. As well as granting & approving requests to transfer leaves and other effective features. This feature allows users to raise requests & issues or report incidents without having to set up a meeting; using a streamlined approach to configure & manage requests which can be ranked according to importance. Gain approval from multiple design makers within the company at once & create openings based on a number of features designed to deliver an effective employee acquisition procedure. Never double book a meeting or interview again. This feature allows for the automatic booking of appointments according to the users availability. Save time by using the dashboard feature to view important information quickly & effortlessly. Track employees’ daily activities, time allocation and holiday hours and produce precise time records to see where your company needs to allocate more time or less accordingly.